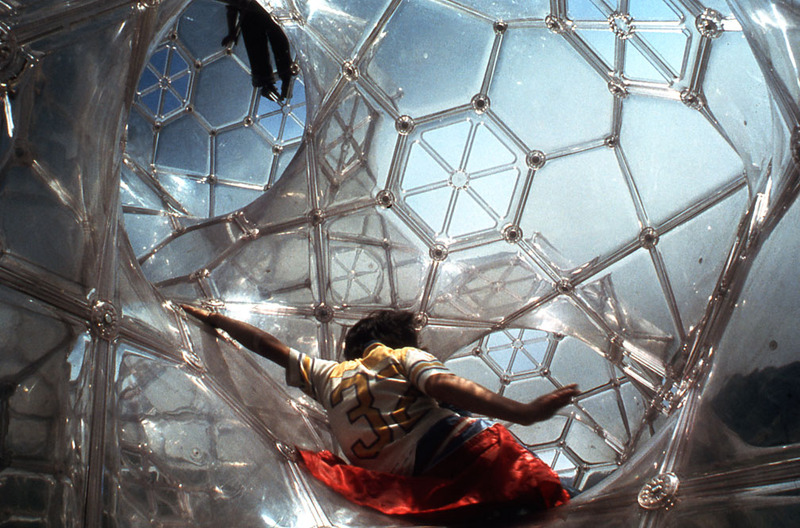 The Curved Space Diamond Structure, also known as the Soap Bubble Castle or Bubble Maze is a nature-based, large scale, sculptural system that maps the geometry of a diamond crystal at approximately 16 billion times its actual size. When guests enter the transparent, three-dimensional form, of the Curved Space Diamond Structure, they become, in effect, the scale of electrons moving through the labyrinth. This all-encompassing encounter, with the compelling diamond crystal geometry, leaves visitors with a powerful and unforgettable experience. The Curved Space Diamond Structure sculpture system is made of transparent surfaces fabricated from high-performance polycarbonate. The panels are joined together, in a continuous surface enclosure, with connectors made from polycarbonate and stainless steel. Each sculpture is designed to meet the specific requirements of the intended installation site, indoors or outdoors. 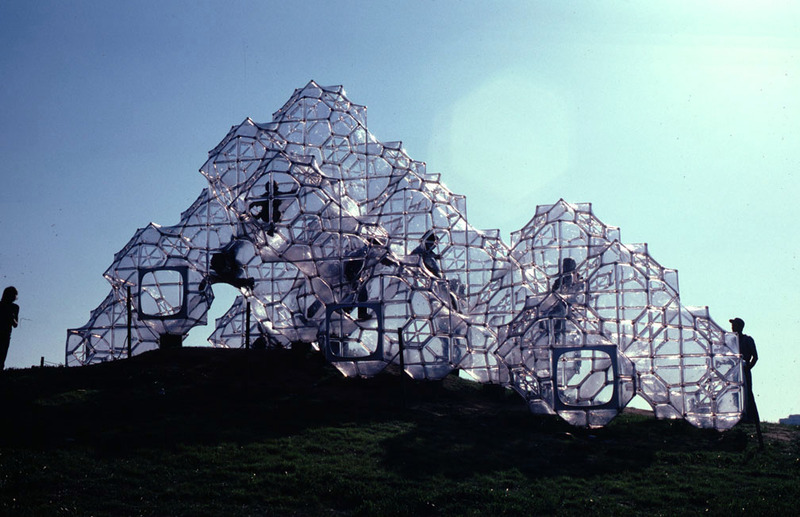 The Curved Space Diamond System is a demonstration of Peter Jon Pearce’s lifelong quest to develop built environments patterned after natural structures. Pearce’s approach is grounded in a rigorous conceptual and geometric understanding of our relationship with the natural environment.